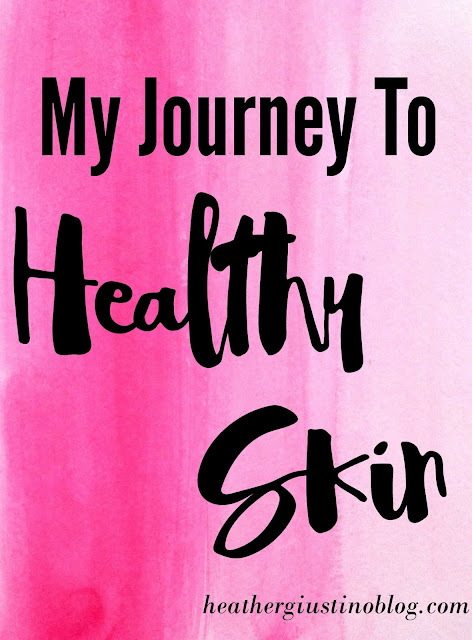 Friends, you've followed along for my fitness journey, and now it's time for my skincare journey. With a background in makeup and skincare I've been fortunate enough to try a multitude of different products promising great skin, but to no avail. I've struggled with acne my entire life, and then melasma after pregnancy. I'm starting to get deep lines in my forehead, and while I'm all for aging gracefully, I would still love to slow down the process, while taking care of my existing skin problems. There have been products here and there that have worked, but only to address one issue - either acne, fine lines OR skin discoloration. I've had a hard time finding what would work for all three. 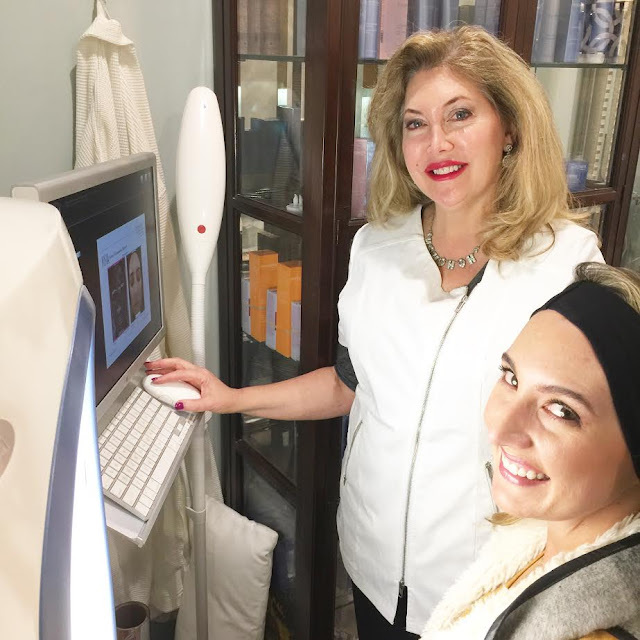 I went in for a consultation at the beautiful offices so that Tricia Starke, the licensed Medical Aesthetician who would be performing my peel, could see my skin in person, and decide if the RevePeel was really the right treatment for me. Tricia has been in this business for over thirty years, and was dubbed "The Queen of the RevePeel" by the RevePeel creator, herself! I had a full skin analysis, and took all sorts of fun pictures to see damage not only on the surface, but under it as well, and it was decided that the RevePeel was the way to go! I was sent home with pre-peel skincare products to start some cell turnover, and get my skin ready to receive the peel in a week. I was given a specific set of instructions of the order to use each product, and how much. I felt very comfortable knowing that I was in great, well-educated hands and couldn't wait for my peel! One week later was the big day. I lay down on the cozy, heated table and Tricia started to work her magic. 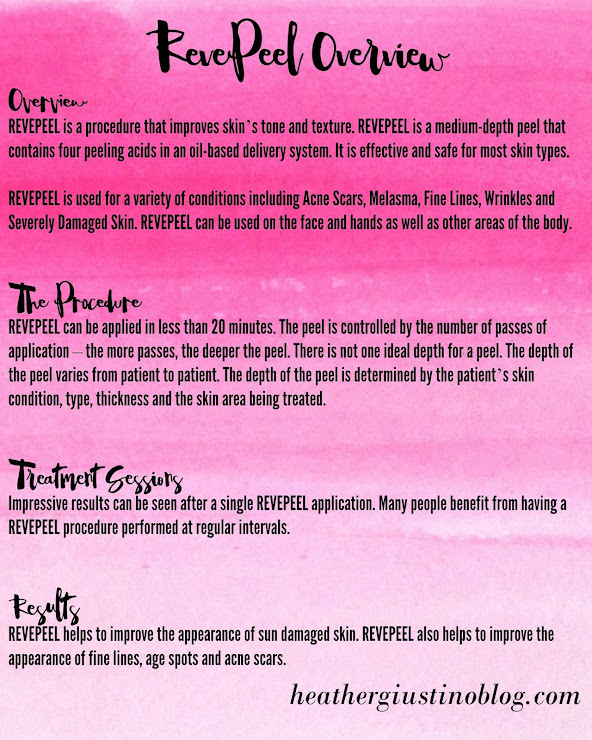 The RevePeel itself generally takes an hour and a half, and uses one of each vial of peel solution, but can last longer and use more of the solution depending on your skin issues. 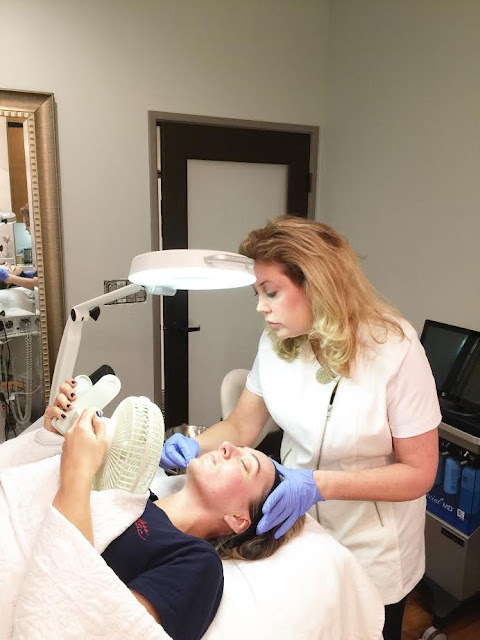 Tricia will assess your skin at the consultation and let you know exactly what you're in for. Be warned - here are some extreme closeups of my naked, not so great skin. The first picture was done at the very start of the peel. The second after about three passes of the peel solution, and the third after six "passes" when my peel was complete. The peel doesn't hurt, but there is heat with each "pass" of the peel solution, which can be considered uncomfortable to some. I had a little hand-held fan to keep on my face any time I needed it. I left the office with very red skin, and headed home with strict instructions to stay away from the sun. Your skin is raw, and needs to heal. The healing process takes about a week, and again - not so pretty ;) It is called a PEEL afterall, and your old skin peels off, revealing new, healthy skin. Days two through five I was looking rough! I didn't leave the house much, except for when I absolutely needed to. I was peeling like crazy, but the peel was doing wonders. I saw improvement in my skin every single day. Once my skin was done peeling I saw such a drastic improvement in my hyperpigmentation and acne scars. 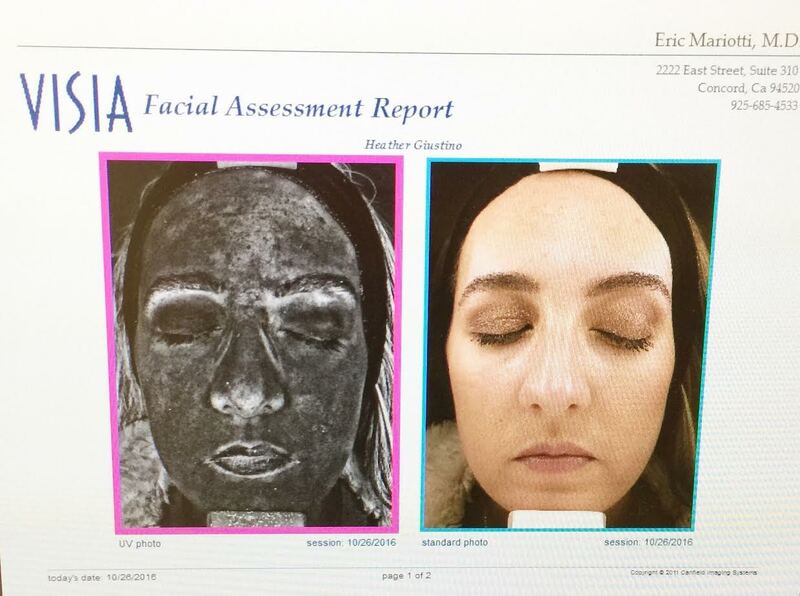 I was also really pleasantly surprised to see that the lines in my forehead seem to be significantly less deep, and it really helped to clear up my existing acne. During the week post-peel Tricia texted every single day asking how I was doing, and answering any questions I had. I felt really happy knowing that she truly cared and wanted the best for me and my skin. (She even texted on the weekends!) I loved that the procedure was done in a medical office (actually, the RevePeel can ONLY be done in a medical office.) The staff was warm and friendly, and I can't wait to go back for a facial, so I can keep my skin in the great shape it's in! And they do everything there, so if you're at the stage where you're thinking about fillers or other procedures it truly is a one-stop shop. Yesterday I had a friend tell me I was glowing (she didn't know I'd had the peel done) and I couldn't help but get a little swell of pride. Having healthier, better looking skin has been a real confidence boost for me! I haven't worn makeup to the gym once since having the peel, and again, even without makeup on people are complimenting my skin. 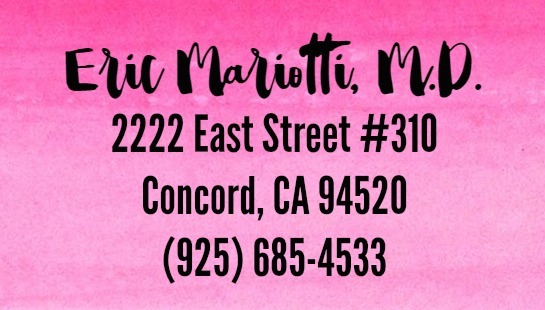 I am so grateful to Tricia, and Dr. Mariotti's office for finally helping me achieve healthy skin. If you want to go the best skin of your life I can't recommend going in for a skin consultation with Tricia enough. Let me know if you have any questions at all, I'm happy to answer them!